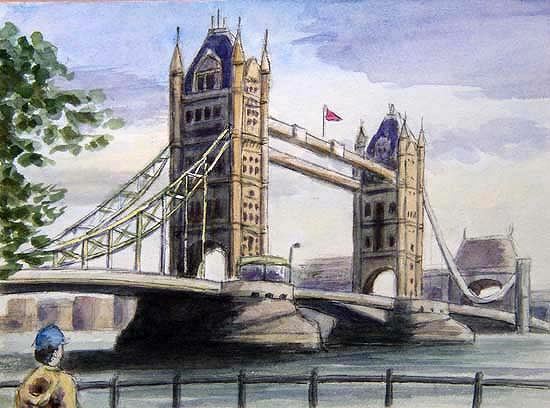 Tower Bridge…..A view from the north bank of Thames River. The bridge is the gateway to the capital. Over 900 times a year the roadway parts and lifts to let tall ships pass through.